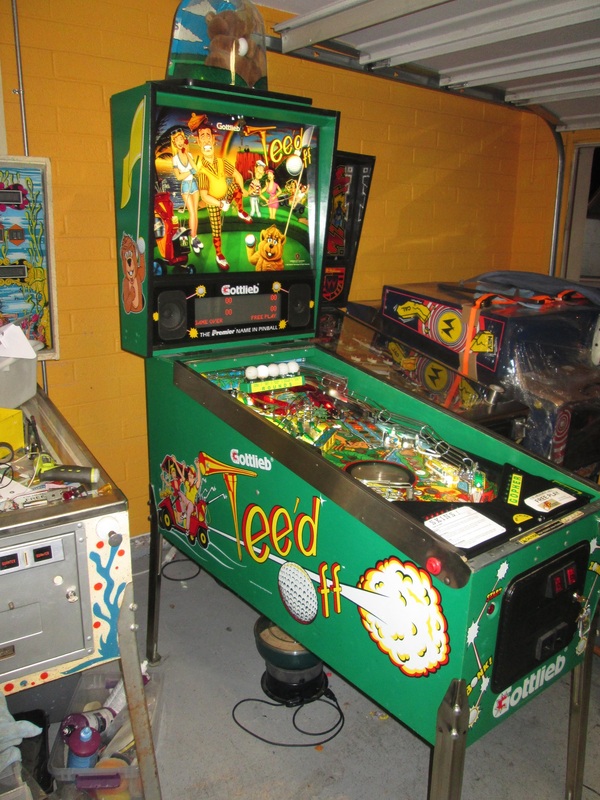 Games For Sale,Shop Notes,Sold 15 October 2014 | Comments Off on Tee’d Off is Tee-rific! We just sold this 1993 Gottlieb Tee’d Off. 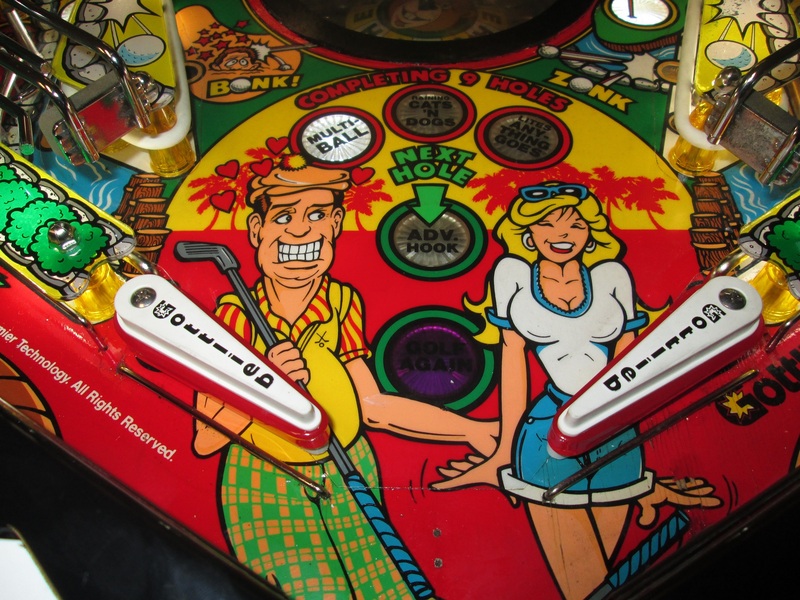 It’s a fun game, loosely modeled after everyone’s favorite golf movie. 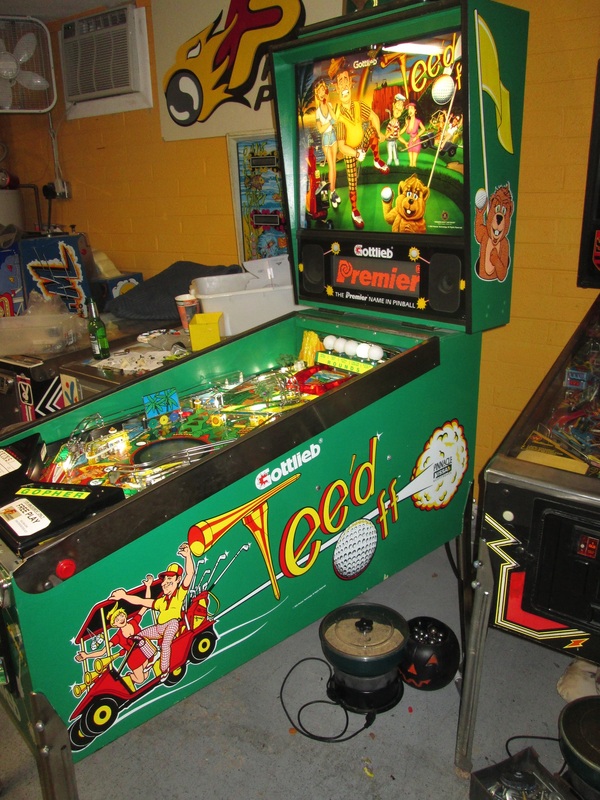 We gave ours a full shop job, tearing everything off the top of the playfield, touching up a few spots, then washing, tumbling, polishing, and otherwise cleaning it all. Comes complete with full LEDs, too: insert, GI, and flashers. 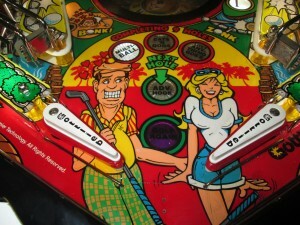 Cabinet is in great shape, too. 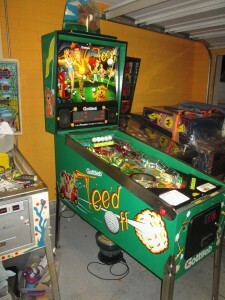 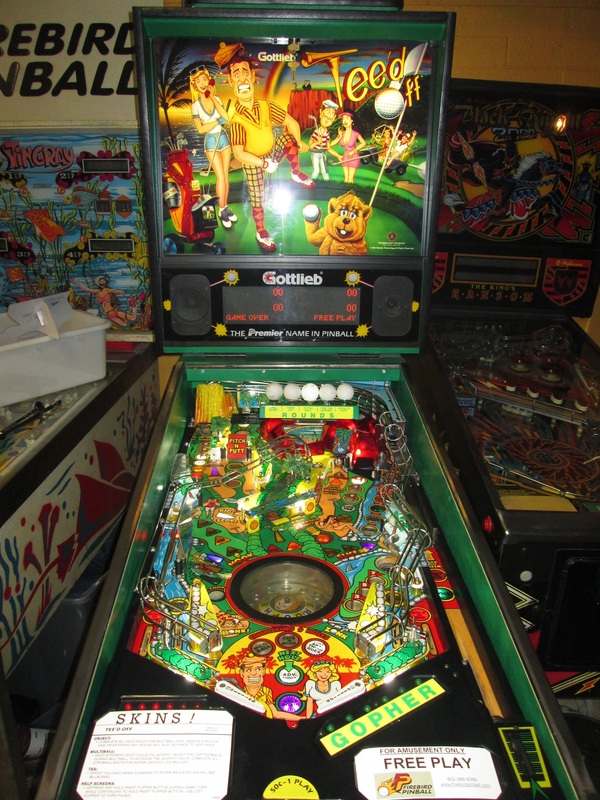 Lots of fun features in this one, including the captive ball spinner in the center of the playfield. 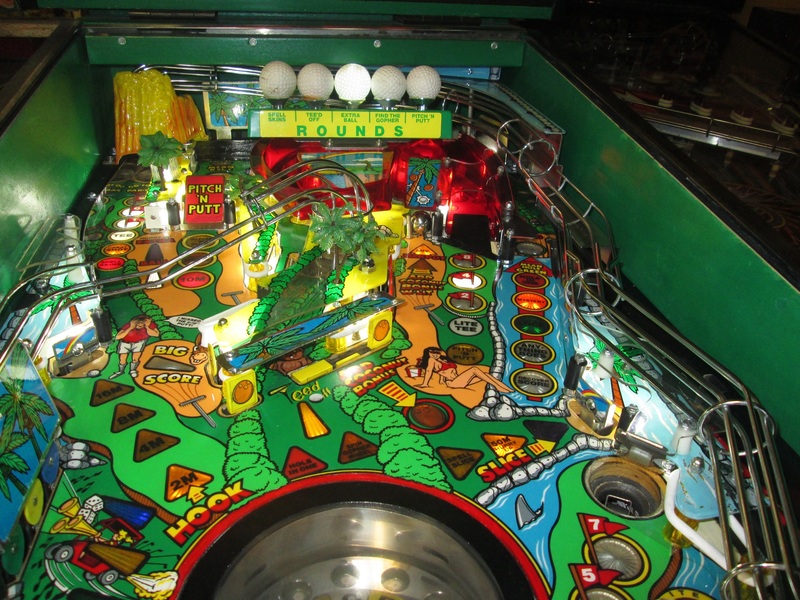 Playfield is in great shape, and we put in Super Bands for extra bounce! 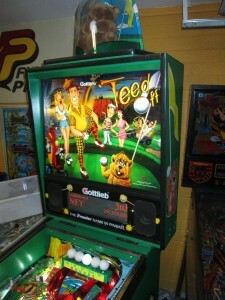 Game is complete with the animated gopher topper.